Call 2 Duty Moving is one of the few moving companies in Indianapolis, IN that offers cleaning, packing and moving services all in one affordable package. 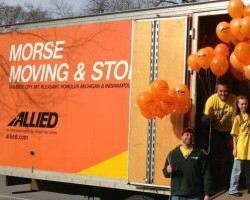 This company will help you move out of your home with complete efficiency and organization. They will help you unpack in your new home and prepare the old one for its new owner too. This kind of comprehensive service is something you will only experience when you work with this local moving company to move into a new house or apartment in Indiana. The experienced Indianapolis movers that work for Morse Moving & Storage are there to make the moving experience as calm and methodical as possible. This company will help you keep track of all of your belongings throughout the move so nothing will ever be lost or damaged. 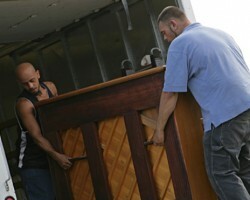 The team also has the skill to move and care for larger furniture like a piano. They will always work quickly and efficiently so that you can get settled into your new home sooner. 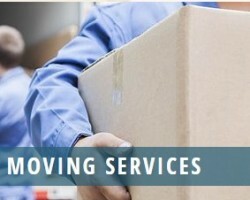 Since 1974 My Movers Inc. has been offering commercial and residential moving services in the area for relatively cheap prices. When you call this company to inquire about how they can help you, they will first give you a free estimate for the move. When you hire this company, the movers will come promptly on the decided moving day to help you arrange, pack and move everything in an organized manner. This means the move will be done quickly and without stress for your home or office. One of the best things about working with Soft Touch Moving & Storage is that you know that each member of this professional team will treat your belongings as if they were their own. This company has received stellar reviews for the care and attention that they give their clients and the possessions of their customers. Whether you are requesting house movers to get you settled into a new place or would like the company to keep your things in storage for a staggered move, they have you covered. Established in 1927, Mayflower Moving is one of the oldest nationwide moving services in the country. In this time, the company has expanded their reach and their range of services to be as accommodating as possible for their clients. This company offers flexible and reliable services that will help eliminate the stress that is typical of any household move. As the movers and packers take care of your possessions in an efficient and organized manner, you will be able to oversee the process or begin getting settled into your new home.